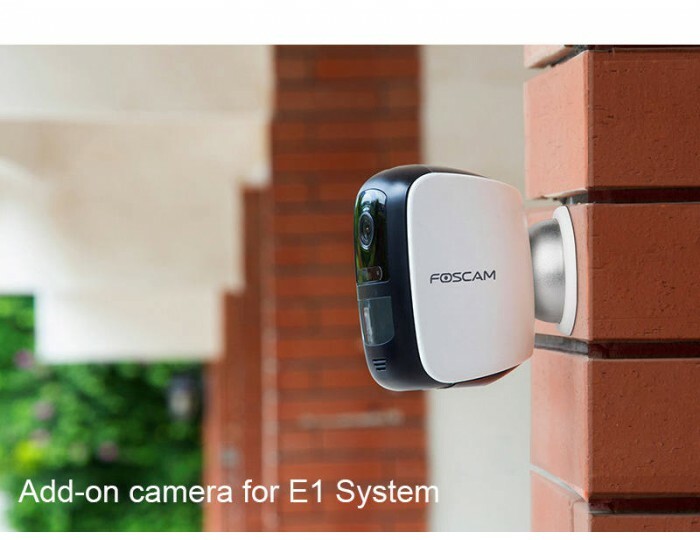 Expand your Foscam E1 camera system by adding an additional Foscam B1 battery powered wire-free cameras. 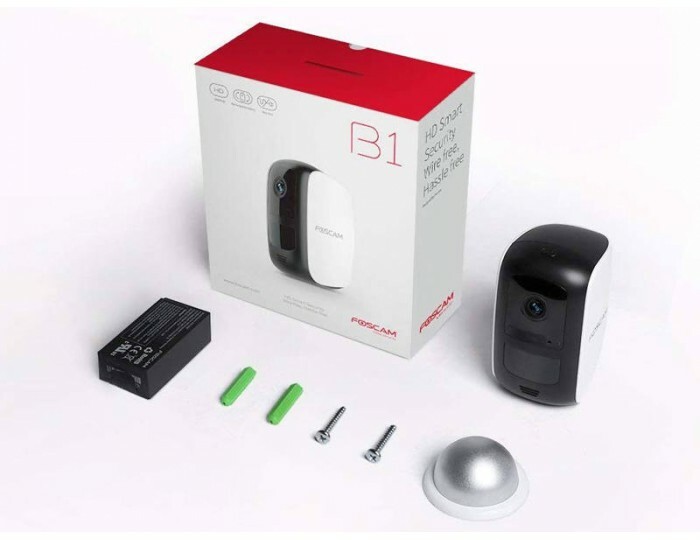 The B1 can be installed inside or outside thanks to the built-in rechargeable battery. 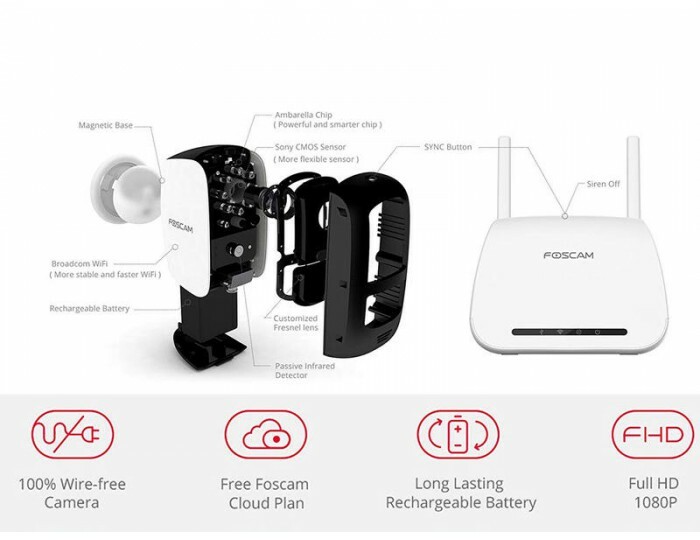 No wires are needed even for power unlike most other WiFi cameras. Mounting is simple with the included magnetic mount swivel base. The camera is IP65 rated for use outdoors if needed. 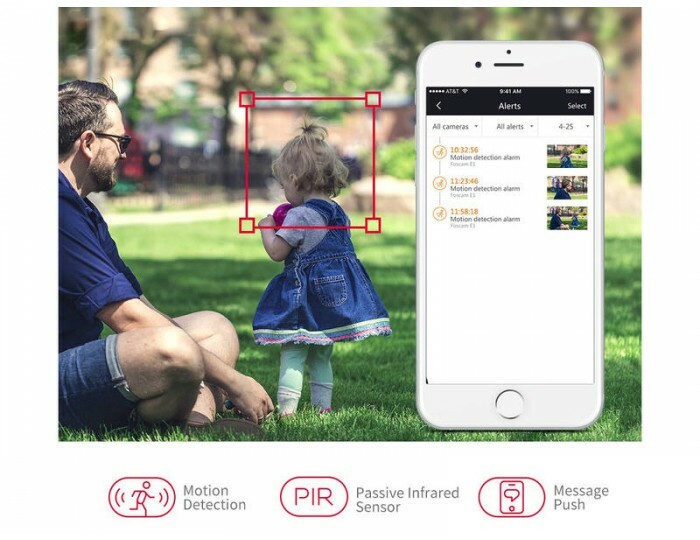 A built-in PIR motion sensor is used to detect moving objects with less false alarms compared to video-based motion found in most cameras. When motion is detected, a push alert can be sent to your phone with a snapshot so you can see what's happening. The Foscam B1 has a wide angle 110-degree viewing angle with built-in night vision and two-way audio so you can listen in or talk back to a visitor or unwanted guest. 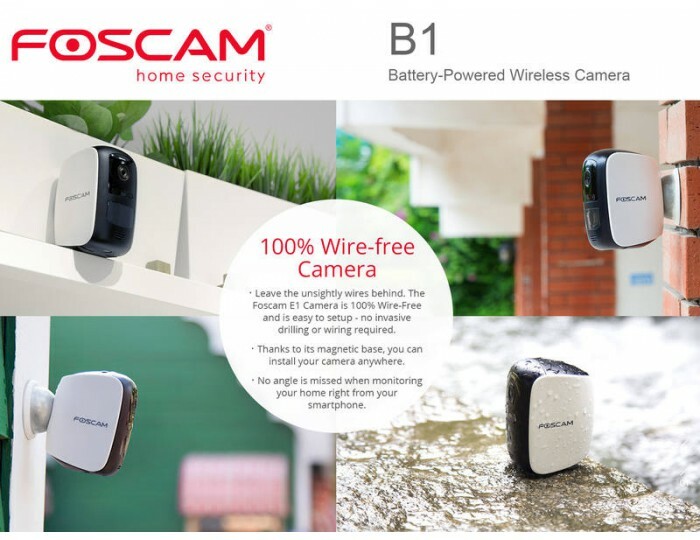 The B1 includes the wire-free camera, magnetic mounting base and screws, with 5000mAh rechargeable battery. 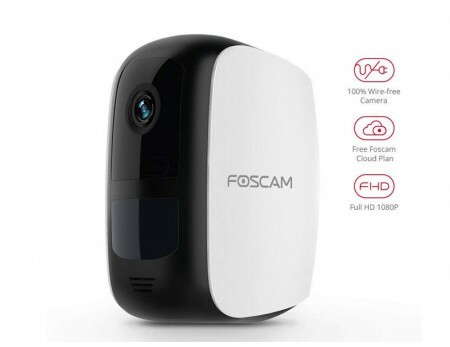 Note: This is an add-on camera for the Foscam E1 wire-free camera system. IT DOES NOT WORK AS A STAND ALONE CAMERA.